Did you know that 49% of Cambodia’s inhabitants are younger then 24 and only 10% is older then 55? That women substantially outnumber men and old Cambodian traditions are basically not practiced anymore? In order to understand the Cambodia of today, you need to understand its barbarous history at Cambodia’s S21 Prison and Killing Fields. While it’s not a joyous excursion, it is one that you certainly cannot skip while visiting Phnom Penh. 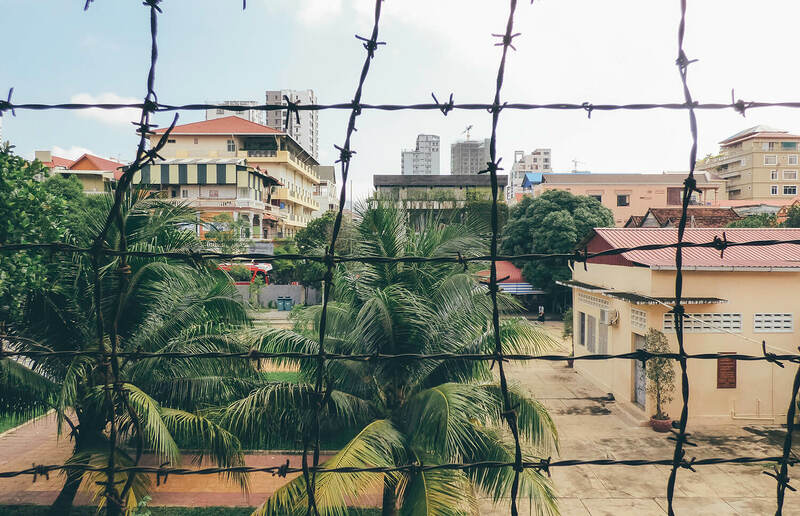 In order to prepare yourself for this visit, you can read our experiences visiting both Cambodia’s Killing Fields and S21 Prison so you know what to expect. 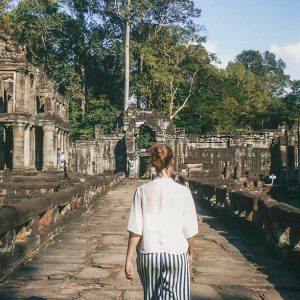 With amazing Unesco Heritage sites like the Temples of Angkor Wat and prestine beaches on Koh Rong, it is hard to imagine Cambodia’s dark recent history. Between 1975-79, Cambodia was under the rule of the Khmer Rouge and its infamous revolutionary leader Pol Pot. 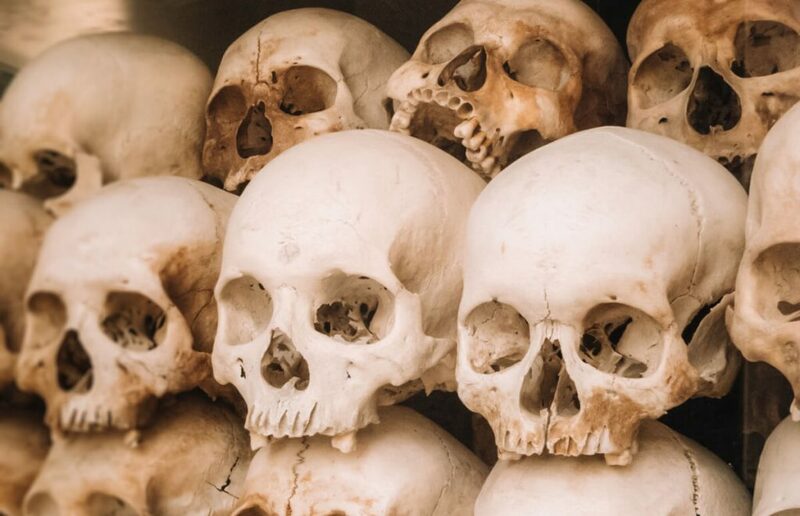 During these four brutal years, the Cambodian people had to endure a genocide which claimed the lives of 2 million civilians who were subsequently dumped in the 343 “Killing Fields” throughout Cambodia, approximately 25% of Cambodia’s population. Why? Because the Khmer Rouge was striving for a cashless communist state based on a rural agrarian economy. They basically tried to make Cambodia an agrarian utopia by forcing millions of people from the cities to work on communal farms in the countryside. Pol Pot isolated the Cambodians from the external world, abolished money, private property and religion. 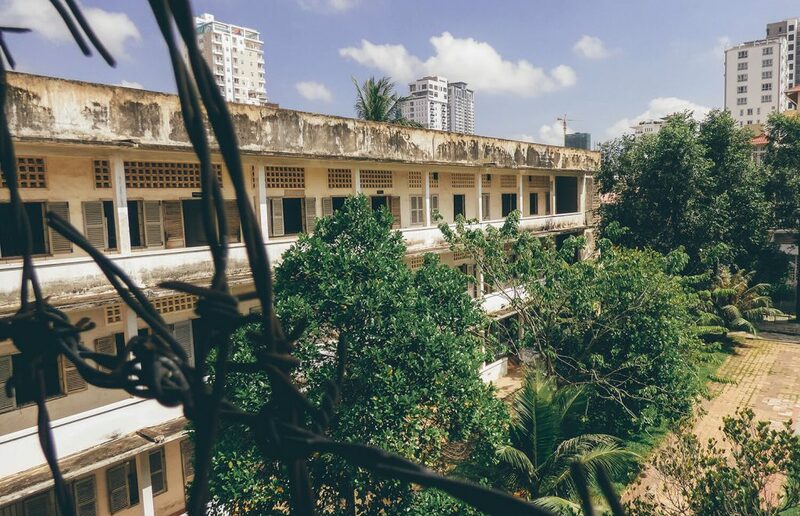 The Tuol Sleng (S21) Genocide Museum and Choeung Ek genocidal centre (Killing Fields) are two sites located in Phnom Penh, which have played a major role in the Khmer Rouge’s dictatorship. 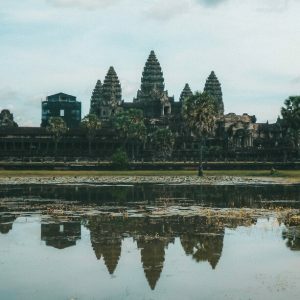 Both have been turned into a commemorative and educational site and are a must visit for anyone wanting to touch more than the surface of Cambodia; by understanding its history and less glorious moments. Walking through S21 was eerie. Pol Pot had been severely influenced by hill tribes in the north-east of Cambodia. They were self-sufficient, uneducated, bartered instead of using money and yet flourished in their communal spirit. The Khmer Rouge extrapolated these values onto the new Cambodia or Kampuchea. Anyone who enjoyed an education or contested against the ideology was sent to special centres where they were tortured or killed. Wearing glasses was often enough to be condemned. Speaking a foreign language was enough. Eating outside the communal meal times was enough. The most notorious of these centres was the S21 prison in Phnom Penh. 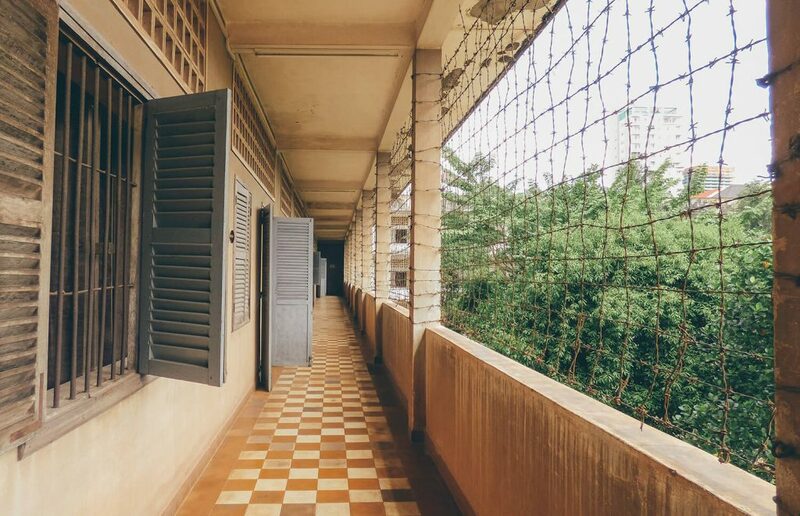 Tuol Sleng was an ordinary school in the centre of Phnom Penh before the Khmer Rouge took power. Transformed into what could best be compared to the concentration camps of the Nazis. Class rooms were devided into small cells where as many as 14,000 people were imprisoned during the four years the regime was in power. Visiting S21 was a harrowing experience. Reflecting on ourselves and the life we live today, we would definitely have ended up in this prison ourselves. Something we take for granted today, or even consider banal, would have meant our death some 40 years ago. Inside the remnants of the prison you’ll get to see the actual quarters prisoners were condemned to but it also tells the story of daily life in the S21 prison from the moment this horrible period started up to the final days of the regime. Hundreds of black and white photo’s of actual victims line the walls of the prison, bringing the horrors that occured here to life. When visiting, hire a guide to tell you more about the stories behind the pictures and use the audio guides that are at your disposal. At the courtyard, survivors somethimes gather to sell their book with testimonials on their life here in S21 prison and to answer question from visitors. For more information on the museum, visit their website. An entry ticket to the museum costs $6 per person and includes an audio guide. 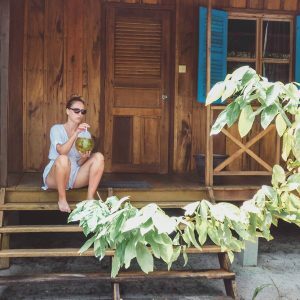 Our paradise guide to Koh Rong! The prisoners of S21 were tortured, interrogated and gave their (mostly) forced confessions, before they were dispatched and executed at the now notorious Killing Fields. 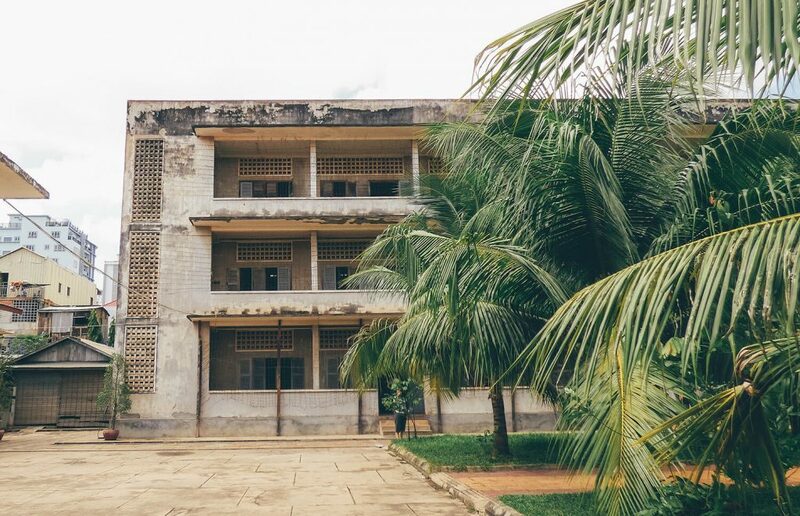 Though this is only one of the 343 Killing Fields in Cambodia, it is the largest and all prisoners from Tuol Sleng (S21) were transported here. It now looks very peaceful with the memorial stupa in the centre of the museum but more than 14,000 bodies of men, women and children once lied beneeth the ground we walked on. Upon arrival we were given an audio tour, which featured the chilling account of a guard and executioner at Choeung Ek. His testimonies take you through what happened at this site. When they exhumed the bodies after the fall of the regime in 1980, many of them were found bound and blindfolded. Often the prisoners of S21 were clubbed to death in order to save money on bullets. About a third of the mass graves here have been left untouched and the walking tour (following the audio guide) took us along several of them. In times of heavy rain, it is not unusual for bone fragments and pieves of clothing to rise to the surface. Signs are there to remind people where they plant their feet. A very obvious sign of the horrors that accured at this site. 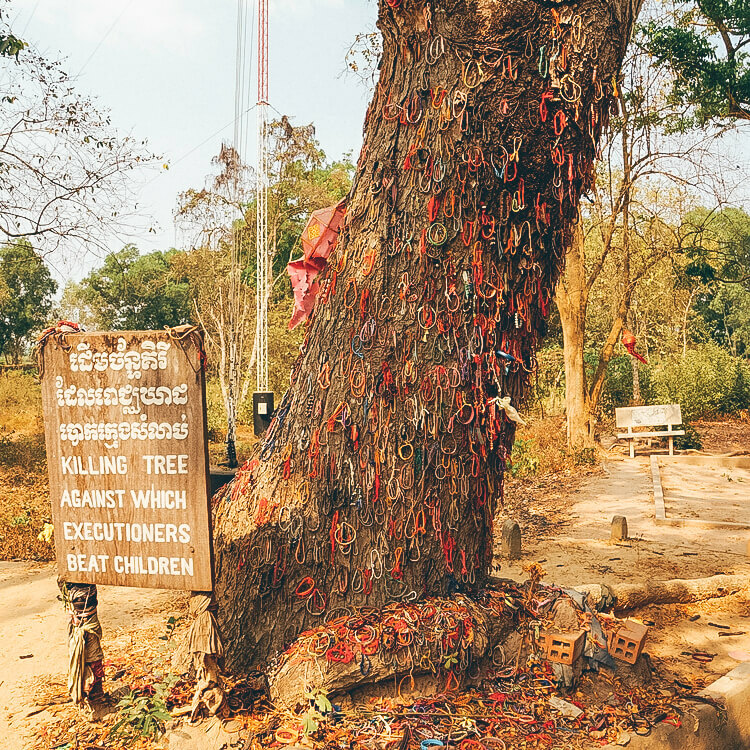 It was dificult not to shed tears at the Killing Tree, a tree where the children who were kept prisoner at S21 were smashed to death against. The regime’s policy was to avoid keeping children as prisoners. There was no gain to keep them as they might take revenge on the regime when they grew older. 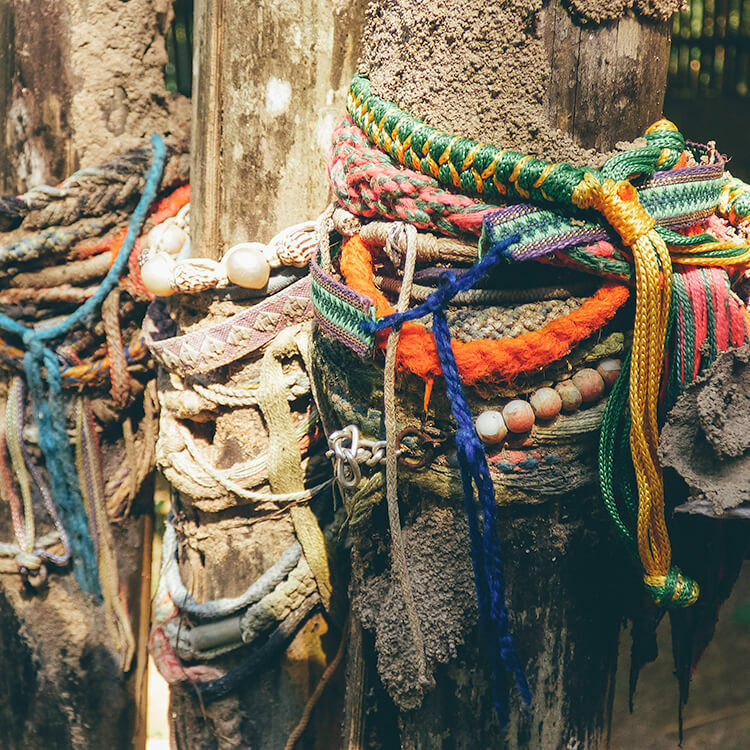 Now colourful bracelets are tied around the fences of the mass graves and the Killing Tree to remember those who perished here. 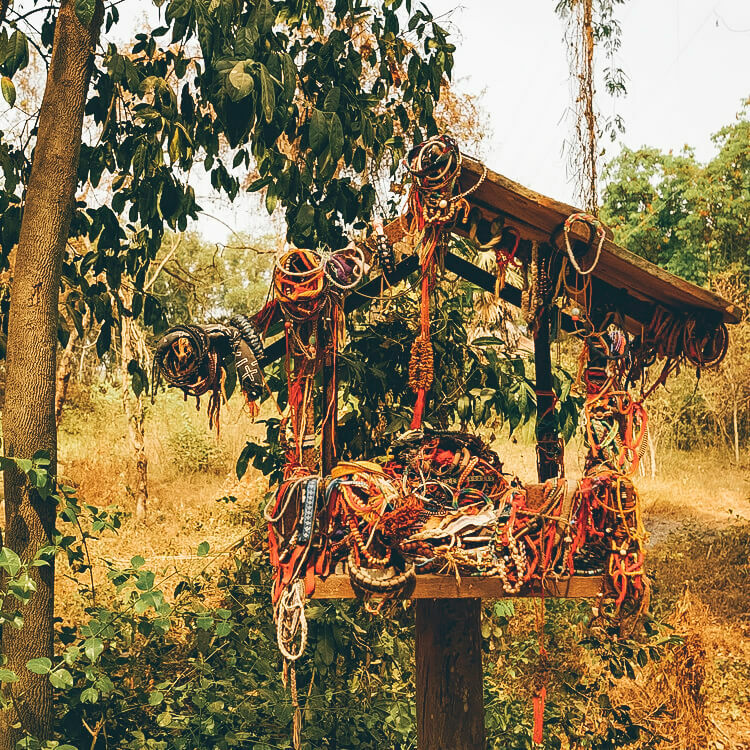 Visiting the S21 prison and Killing Fields left an enduring impression on us. Though we reached the end of our journey through Cambodia, it made us reflect on the local Cambodians and what we saw during ou stay. Now all the pieces started to fall together; why we saw so few elderly people, why so many buildings in Cambodia seem to be quite new… it is all part of the heritage of a devastating recent past. 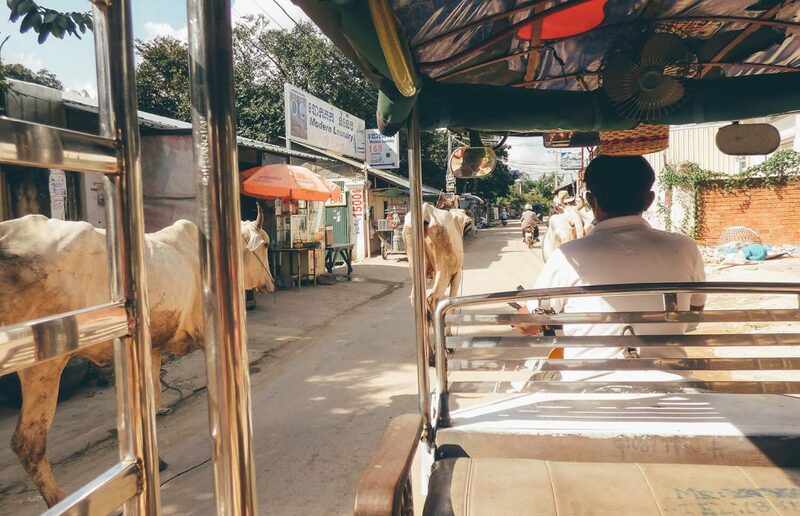 The easiest option is to get yourself a tuk-tuk for half the day. We spend around $16 for a return trip to S21 prison and the Killing Fields. A Hop On Hop Off shuttle bus tour is available from Phnom Penh, which includes hotel pick-up and costs about $15. Please… do not take selfies. This is a memorial where dreadful things have happened. Keep your voice down and refrain from any pleasentries. Do not eat inside the S21 museum or the Killing Fields. Bring plenty of water! It can be brutally hot on the Killing Fields. 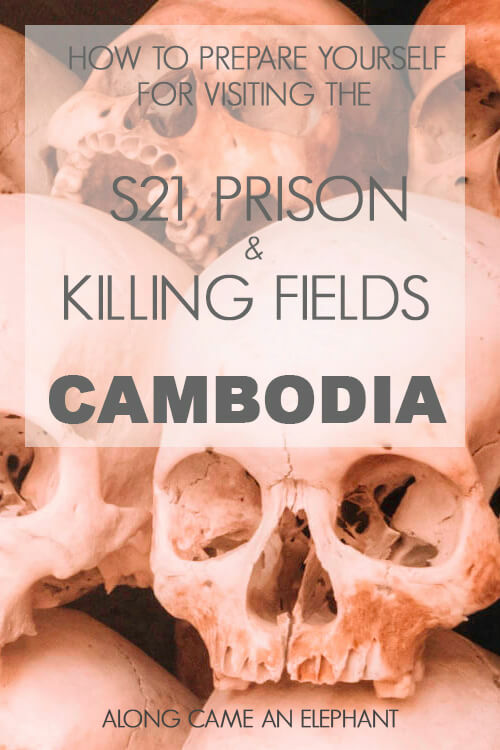 Would you visit the horrid history of Cambodia at the S21 prison and Killing Fields?